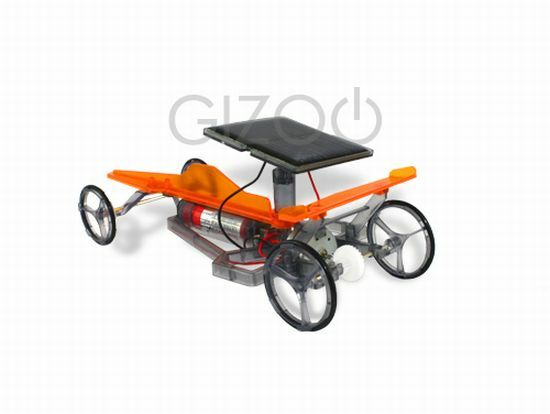 A model-racing car is probably the toy to have for most kids. Maybe because it gives them the thrill of simulating a racing environment, which otherwise would not be possible to do considering their tender age. Racing car toys are extremely fun to have but they also use up a lot of batteries for operation. In a day and age of green environmentalism, it is important for kids to learn about conservation, although we wouldn’t want them to miss out on the fun and excitement of racing car toys. 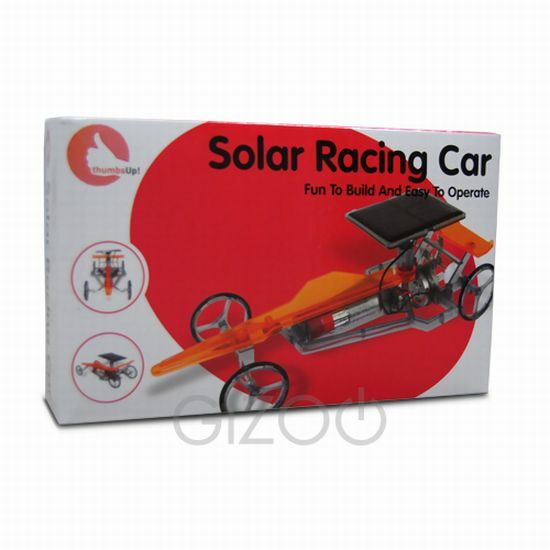 The Solar Powered Race Car allows kids (and adults) to have all the racing fun they could possibly imagine in a clean and green manner. Solar powered cars have this image of being slow and sluggish. The Solar Race Car has enough zip in it to leave the other battery consuming cars in its rear view mirror. The body of the ‘green’ race car is minimalist with only the essential parts holding the model car together. It has an orange colored, transparent hood with a rear wing that has a similar color tone to it. The exoskeleton of the body is covered in steel grey. A square solar panel sits on top of the orange hood. Two front wheels and two rear wheels complete the body of the racing car. The Solar Race Car may not look like much, but that’s why it can race ahead of the competition. Due to its minimal framework, the car has enough power to hit speeds up to 3 miles per second. In other words, it can climb a 30-degree slope without breaking a sweat (or any of its parts). The user can also adjust the solar panel on top of the hood to extract maximum speed and power from the engine. A standout feature of the Solar Powered Race Car is that it allows the user to build the entire car from scratch. All the parts are included in the package, and building the car is very simple and a lot of fun. In addition, the building process would develop thinking and motor skills. Presently, it is available at £14.95. When it comes to solar gadgets, a major concern is the amount of sunshine available. 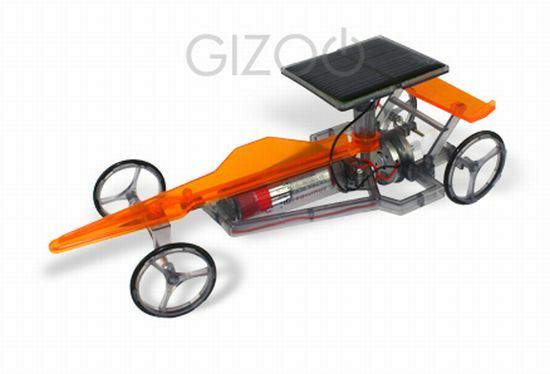 Even if there is no sunshine, the user can race the Solar Powered Race Car with an alternate battery-powered source that requires a single AA sized battery. Come rain, night, or shine, the Solar Powered Race Car is ready to race anytime. If you wish to look at more games, go through Super Mario Kart Board Game and Trio-Slot Car.